Designed for freestyle and everyday use make sure you get your hands on these Puma 365 Netfit Lite Football Trainers in a Peacoat and Puma White colourway. 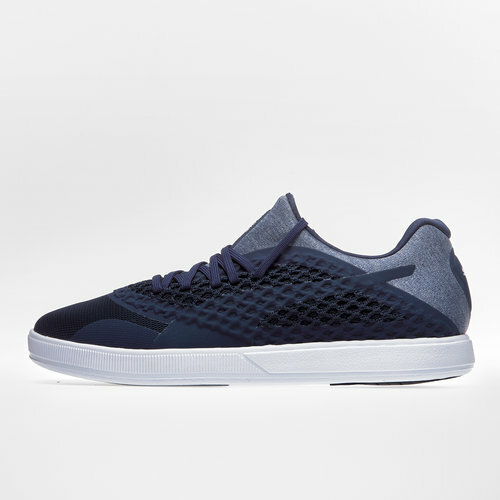 The 365 Netfit Lite trainers have been designed for those people who let their shoes do the taking in the style stakes. They have a soft foam-sole and a toebox designed to enhance your freestyle technique. The upper of these trainers have been crafted from a moulded material, offering a comfortable and snug fit with good support. They are fitted with the innovative Netfit lacing system that allows you to adjust the lacing and lockdown to provide the ultimate personal fit.